Irish Cheese Selection Box | Buy online from The Courtyard Dairy. 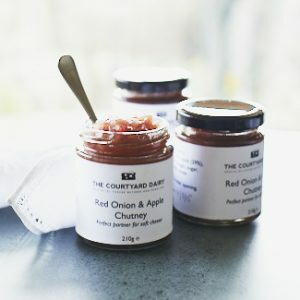 All of The Courtyard Dairy’s cheese selection and gift boxes are delivered with comprehensive tasting notes and details of the cheeses included. 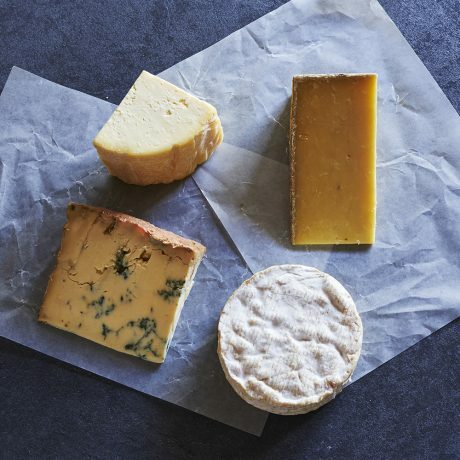 Four fabulous Irish cheeses that pack a real punch of flavour: a soft and creamy Camembert-style, a sweet and nutty hard sheep’s milk, rich blue and floral goats Gouda. Cavenbert. Unasteurised cows’ milk. 230g. Silke Cropp has been making unpasteurised cheese for over 25 years, and has been at the forefront of the Irish cheese revolution. Her latest development is a raw milk Camembert style that is soft, oozy and rich. (If available; otherwise it may be replaced by St Gall). Cáis Na Tíre is aged on-site until it’s six months, old it develops rich, toasty and caramel notes as the sweetness of the sheep’s milk starts to display. Killeen Goat Gouda. Pasteurised goats’ milk. 250g. Leaving Holland in search of the Irish ‘good-life’, Marion Roeleveld developed Killeen – a goats’ milk Gouda with milk given by her own goats. 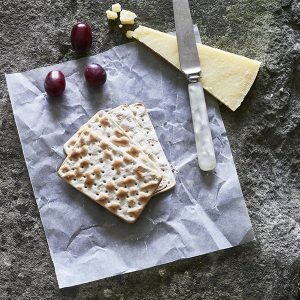 Killeen is aged in-house by The Courtyard Dairy for 11 months, the cheese develops a greater depth of flavour as the sweetness and toasty-roasted hazelnut flavours show through. Young Buck Blue. Unpasteurised cows’ milk. 250g. An outstanding, raw-milk, blue cheese from Northern Ireland. An interesting take on a Stilton recipe, Young Buck cheese is made traditionally, with hand ladling, to produce a rich, lingering flavour.